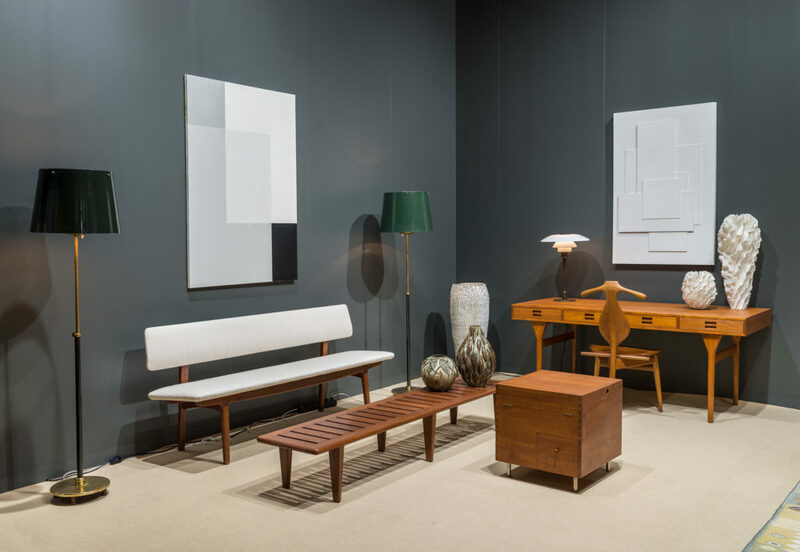 PAD Genève 2018 to collectors January 31, 2018 for its very first edition on the grounds of the prestigious artgenève fair. 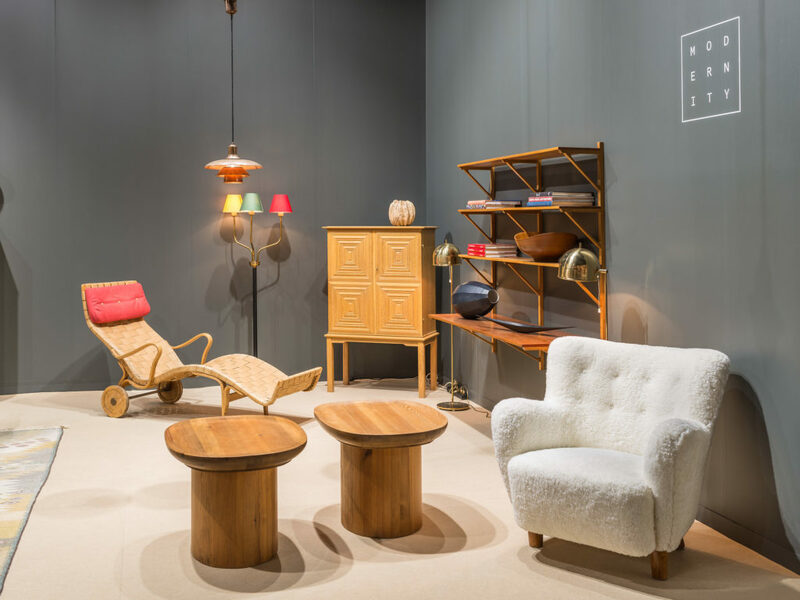 Over the course of six years of continued development and consolidation, artgenève has taken root in the Geneva Lake region, establishing itself as a high end and internationally renowned contemporary and modern art fair. 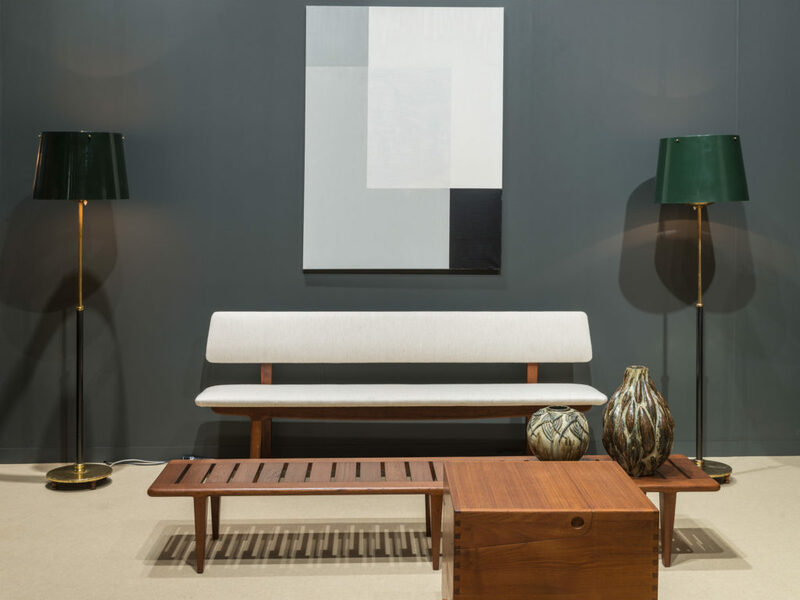 The fair is now enriching its artistic offering by including Historic, Modern, Contemporary Design, and Tribal Art. 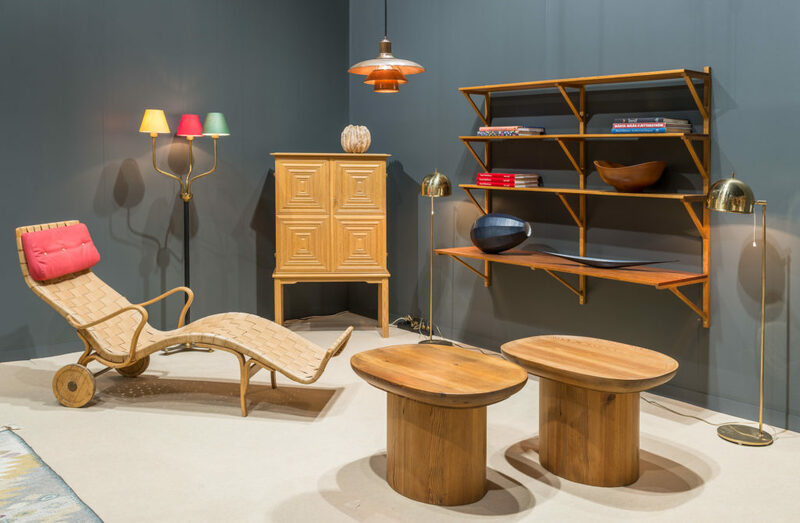 The prestigious PAD, established 21 years ago in Paris in the jardin des Tuileries and expanded to Berkeley Square in London 11 years ago, has carefully selected 25 galleries for the show. 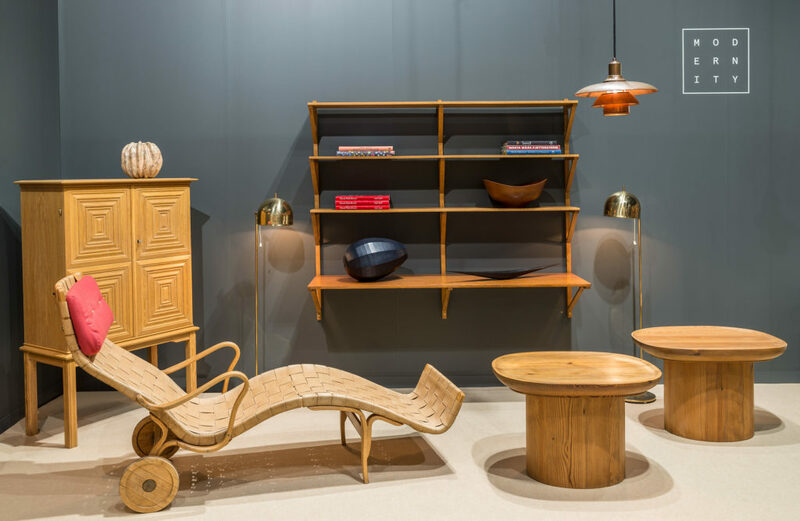 For our participation to the fair’s first edition, we are presenting a variety of pieces by the celebrated Nordic designers Josef Frank, Axel- Einar Hjorth, Borge Mogensen, Nana Ditzel, Hans Wegner and Poul Henningsen, among others. 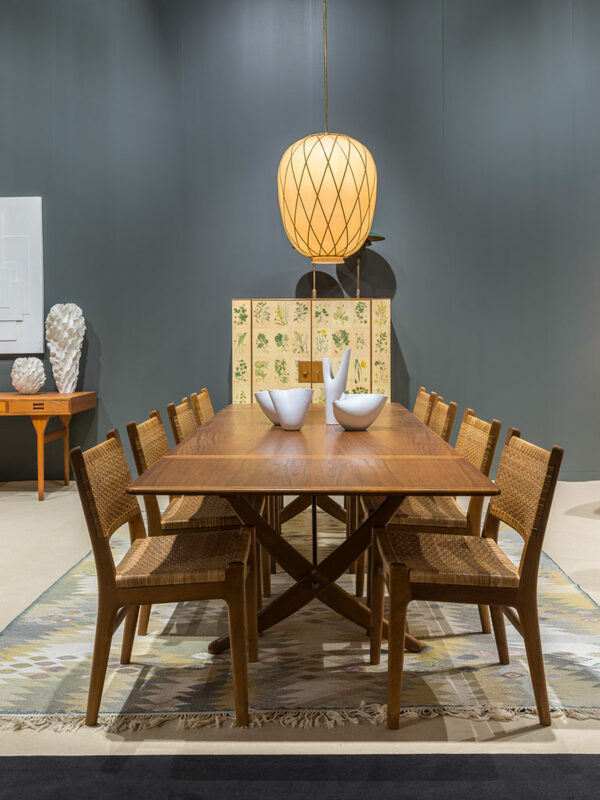 We are especially proud to show iconic pieces by Danish master Hans Wegner: his sabre-leg dining table bearing exquisite brass details, a set of eight CH31 chairs, the sculptural Valet chair, a bar cabinet, and a rare JH574 bench. Another highlight of our stand is the desirable Flora cabinet by Austria-born designer Josef Frank, probably the artist’s most recognizable piece. We sincerely hope you will be able to join us at the fair and look forward to seeing you there. 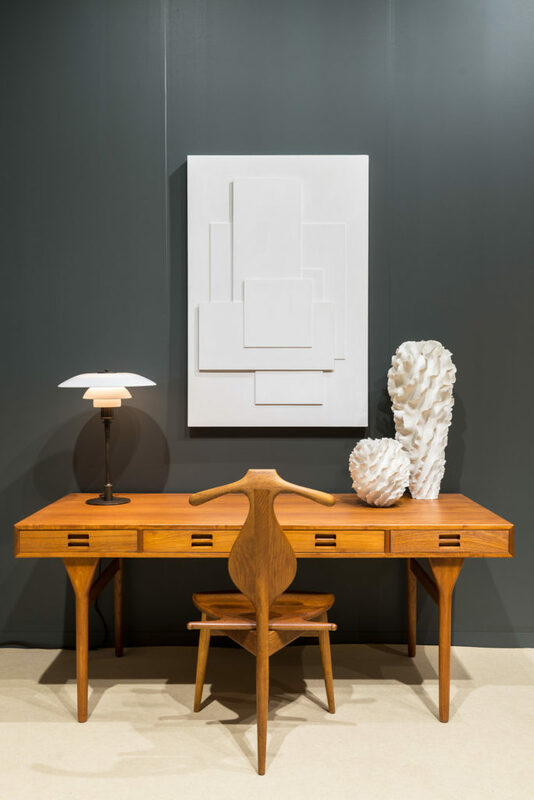 The fair runs through Sunday, February 4, and you are also most welcome to enquire about our pieces on display over the telephone at +46 708 39 34 41.